GUY’S FIRST ANNUAL BIKINI BEACH BASH!!! DO YOU LOVE OUR ANNUAL HALLOWEEN PARTY?!?! DON’T FORGET THAT WE’LL BE GIVING AWAY PRIZES FOR THE BEST BEACH ATTIRE, SO DRESS TO IMPRESS!!! If you ONLY buy into the traditionalist views of the wine industry, the following opinions might unnerve you. We, at Sort This Out Cellars, don’t own our own vineyards and equipment. When you visit our tasting room, you didn’t drive through 3 acres of grapes to get to our front door. That being said, once you have found your way inside, you might be surprised to find that we’re a little more contemporary, fun and hip than most wineries. There’s no chateau up on the hill, no vines to survey and we don’t make you feel like you should be grateful for visiting and tasting the grape juice we turned into wine. We can’t buy into that whole part of the industry. We’re about having fun and letting the freedom of sourcing fruit and juice be part of the experience. While we are trained Sommelier’s and knowledgeable about the history of wine, we don’t like to preach. Let’s not concentrate on AVA’s and Ph and which forest our oak barrels came from. Let’s face it – if you don’t like the wine, then none of it matters and if you do like it – it shouldn’t matter either. While some of our grapes come from very well known vineyards which could rate a mention on most labels – we often keep them off and let the design aspects take over the bulk of the label. Labels inspired by vintage gentlemen’s playing cards, like our Suited line or Vegas gambling terms such as “Parlay” or “Ante Up” which grace our ‘Rollers Reserve line. Fun labels and eye catching designs, are often a cover for some mediocre juice in the bottle. Not so, here. We strive to make the inside just as interesting as the outside. We produce wines that can be drank and shared now or in the next few years. We don’t make wines that are overly tannic and need to sit in your wine rack for 10 years before you can even approach them. I know of a couple of writers for really popular magazines who won’t be scoring our wines anytime soon due to the fact that we aren’t making wine for their palates, rather for the palates of the general public and consumers who are looking for wines that are easy drinking and offer a level of complexity they might be familiar with. With the current economic situation, our virtual winery model works well. We dictate the amount of grapes to crush and wine to release each vintage and do so based on our selling trends. Currently, we produce about 1500 cases which could increase with recent distribution now in Nevada, Arizona and Southern California. Our wines aren’t for everyone. Our tasting room banter isn’t for everyone. If you’ve been known to “do it your way” and appreciate the times when the men were men, the women were curvy, they drank, smoked, cursed and didn’t apologize for it – then you’ll “get” what we’re doing. If you’re looking for caves, barrels and picturesque vineyards with a focus on “family owned” and bottles and tasting notes that boast the ever popular ”handcrafted” term, well…it’s ok if you pass us by. 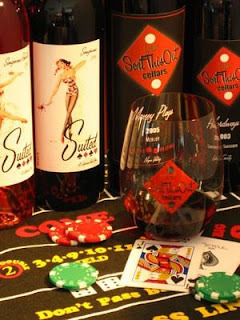 But, if you’re looking for good times and great wines…you can bet on us! When Was the last time you GRAPE STOMPED? 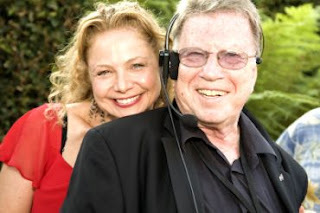 Saturday, August 29, 2009 from 4 PM – 8 PM. 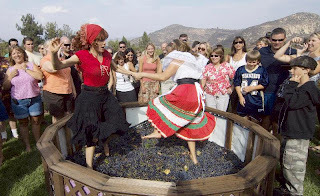 The afternoon event celebrates the beginning of harvest — Old World style — with grape stomping in a gigantic five-foot barrel, full dinner buffet, dancing to live music, wine tasting and winery tours- all for the price of $85.00 per person. Everyone attending can enjoy being part of an Italian-style grape stomp. 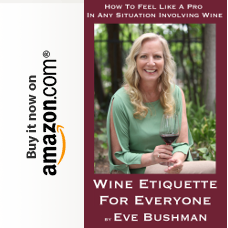 It’s a great time for each person to connect personally with the grapes and salute Mother Earth as the grape juice swirls around their ankles and oozes between their toes. The 70-acre vineyard and winery has hosted the stomp every year since 1993, and every year more people want to participate.This year’s festivities is expected to sell out as usual with close to 400 people buying tickets for an afternoon of not only grape stomping, but tasting wine, dancing and dinner. Imported and Domestic Cheese Wheels, Pâtés and Crackers.Bleu Cheese Dip with Caramelized Shallots and Sliced French Baguettes. Lavosh-bread Pinwheels with Grilled Eggplant, Roasted Red Pepper,Fresh Basil, Homemade Hummus and French Feta Cheese. Crisp Garden Greens with Diced Salami and Provolone, Olives, Pear Tomatoes, Green Onions, Marinated Celery and CauliflowerTossed with Italian Vinaigrette. Mediterranean Pasta Primavera Cheese Stuffed Tortellini Tossed with Artichoke Hearts, Olives, Peppers, Sun Dried Tomatoes, Mushrooms, Feta, and Pine Nuts in a Garlic Shallot Oil. Pesto Chicken Roulade Chicken Rolled & Stuffed with Pine Nuts, Spinach, Ricotta Cheese & Prosciutto Presented with a Pesto Cream Sauce. Slow Roasted Short Ribs in a Savory Sauce. 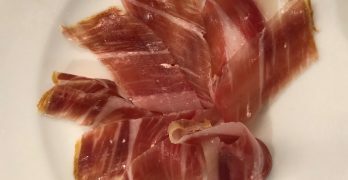 Served with Roasted New Potatoes With Garlic, Extra Virgin Olive Oil, Kosher Salt and Fresh Herbs. Homemade Multi-berry Shortcakes with Meyer Lemon Cream. Freshly Brewed Regular and Decaffeinated Certified Organic Sumatra Golden Mandheling Gourmet Coffees. 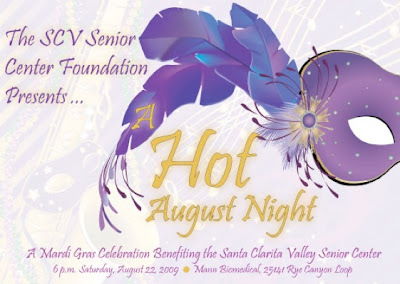 Mardi Gras is coming to the Santa Clarita Valley Aug. 22 as the Santa Clarita Valley Senior Center Foundation hosts “A Hot August Night,” the 18th annual benefit dinner and auction to raise funds for the Senior Center’s Home Delivered Meals program. 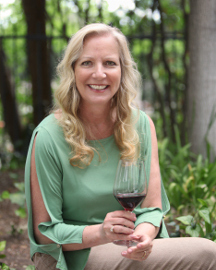 A Hot August Night also will feature wine tasting from Vino 100 and incredible live and silent auctions, all in an atmosphere befitting the French Quarter of New Orleans. Individual tickets cost $75, and special VIP tickets are available for $100, which includes VIP tastings and premium parking for the event, scheduled to start 6 p.m. at Mann Biomedical, 25141 Rye Canyon Loop, Valencia, CA 91355. An enticing array of Mardi Gras-themed sponsorship opportunities is available. 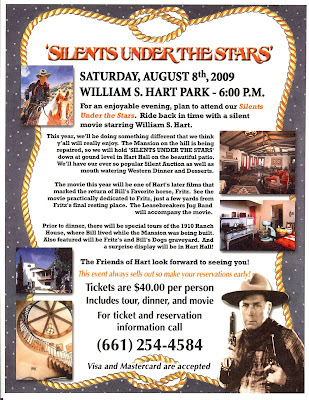 Reservations, sponsorships and more information are available at the Foundation website, www.scvseniorfoundation.org, by calling the Senior Center at 661-259-9444, ext. 151, or by e-mail to: info@scvseniorfoundation.org. The benefit auction continues an 18-year tradition of supporting the Senior Center’s Home Delivered Meals program, which brings a hot meal each day to homebound local seniors, many of whom otherwise may not have anything to eat. Home Delivered Meals benefits approximately 800 households in a year. About the SCV Senior Center Foundation: The Santa Clarita Valley Senior Center Foundation is dedicated to supporting the Santa Clarita Valley Committee on Aging/Santa Clarita Valley Senior Center in its mission of enhancing independence, dignity, and quality of life for senior citizens in our community through community outreach and inclusion, fund development, and creation and support of signature fundraisers that benefit the parent organization.